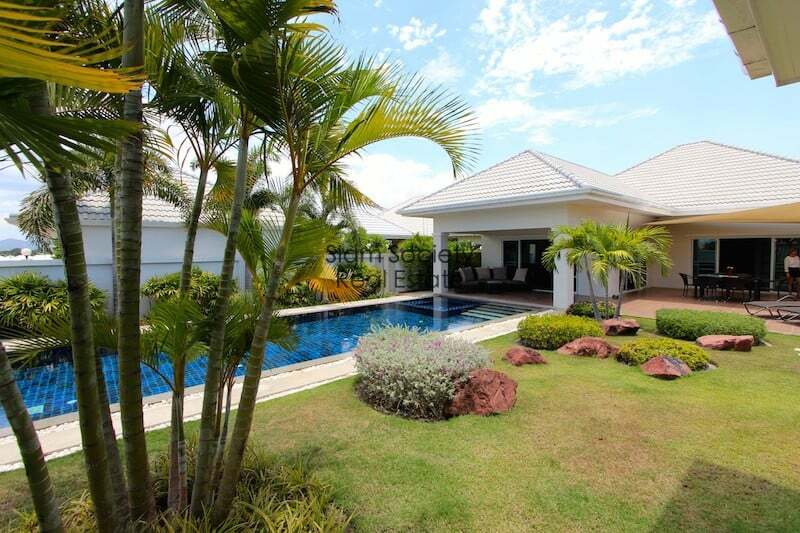 This is an Avenue 88 Gold West Hua Hin villa for sale. 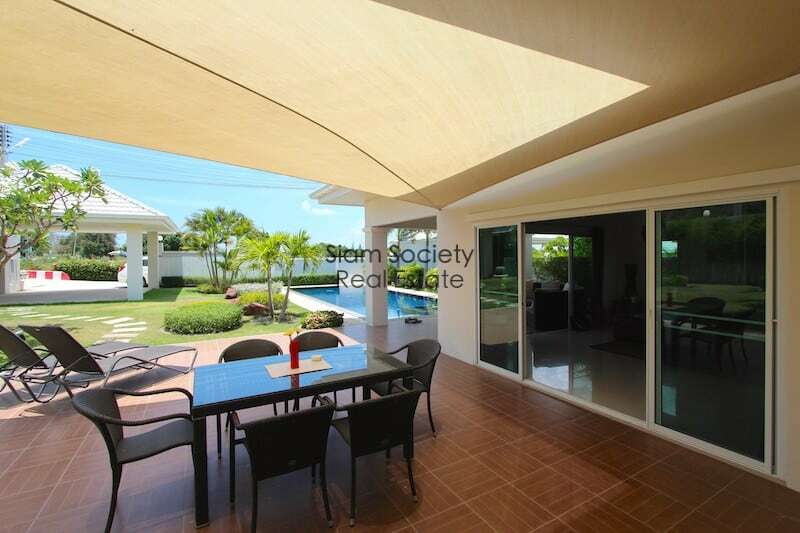 This lovely 4 bedroom, 4 bathroom home has been designed with open plan living, covered terraces, and extra storage rooms. 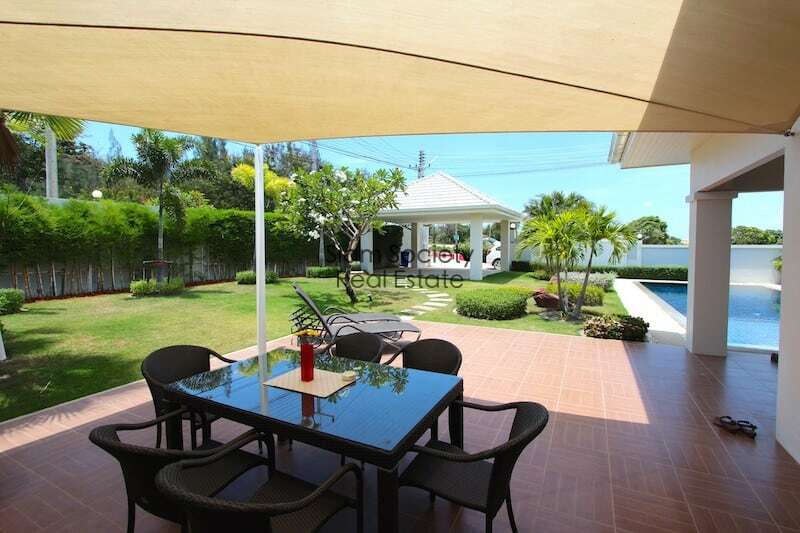 The 700 square meter property enjoys a nice large garden, a 12 meter by 4 meter swimming pool, and a covered car port to keep your vehicle nice and cool during the daytime. 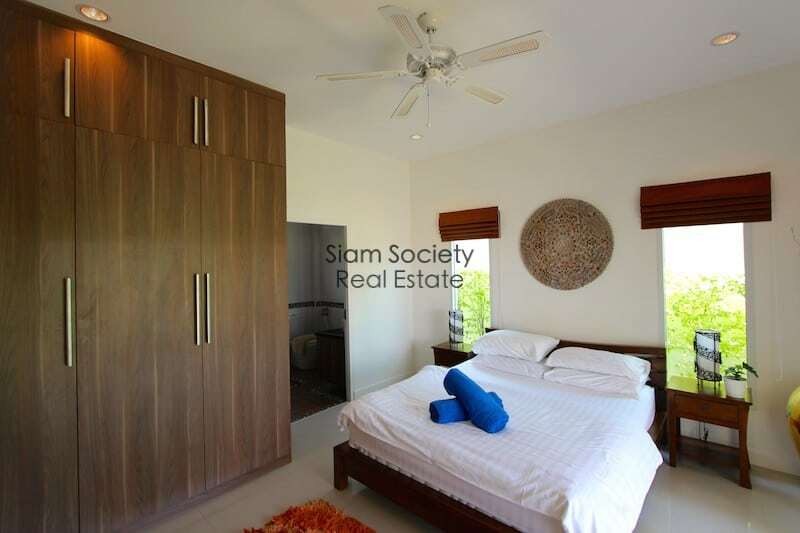 Just off to the side of the main house is a separate and private guest house with en-suite bathroom and built-in wardrobes. 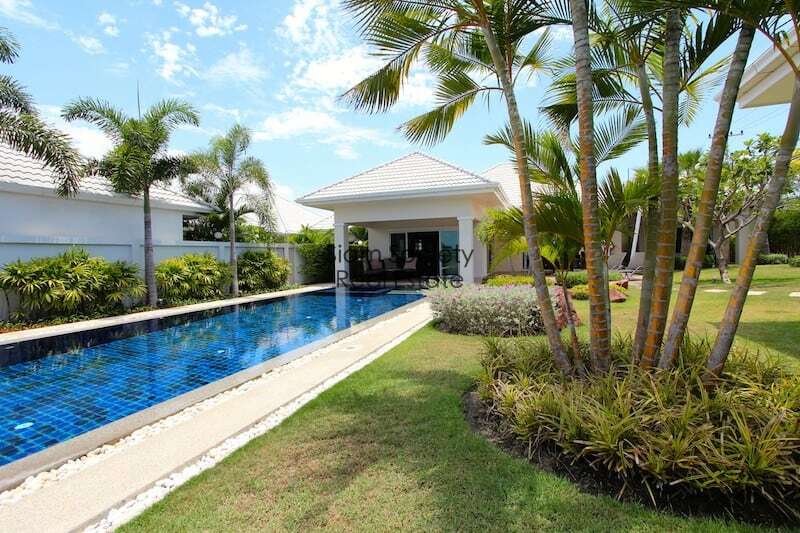 There are two terraces, one overlooking the large swimming pool and a second, larger covered terrace, perfect for large family gatherings and evening dinners in the garden. 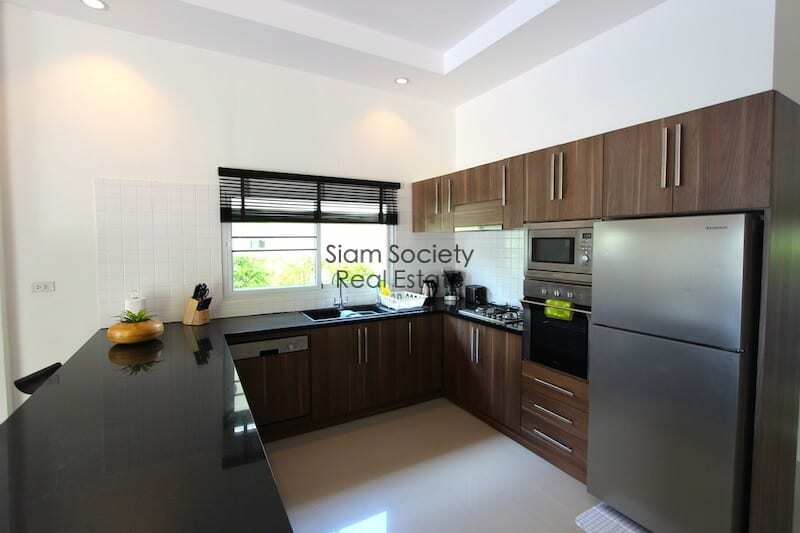 The large western-style kitchen is outfitted with nice cabinetry and modern appliances. 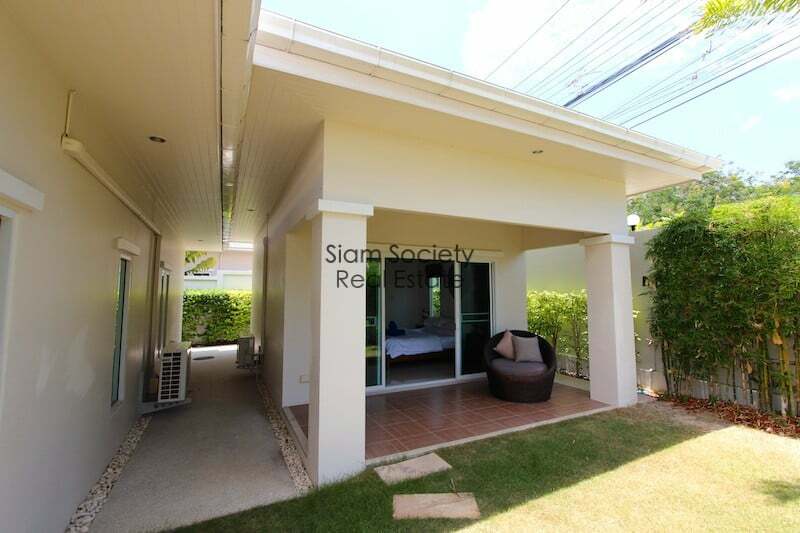 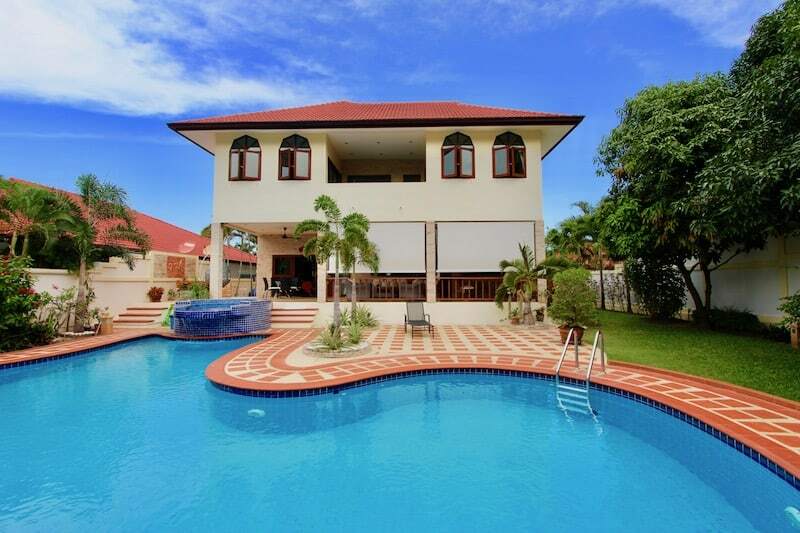 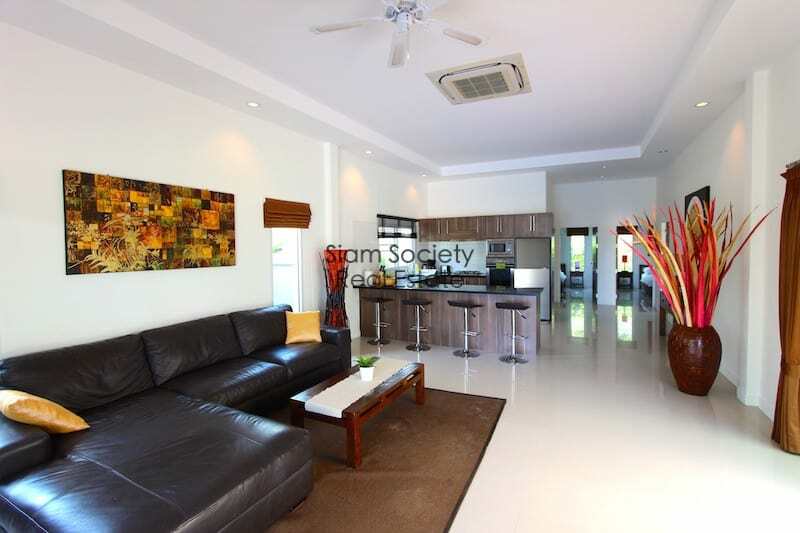 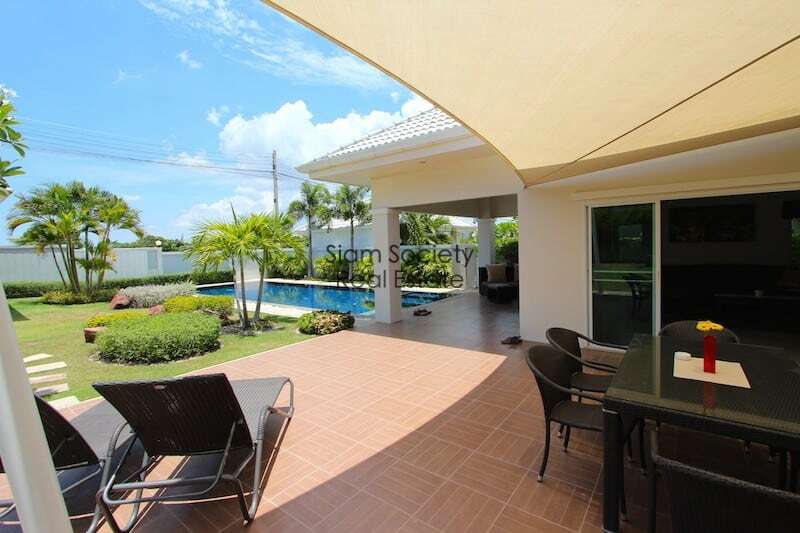 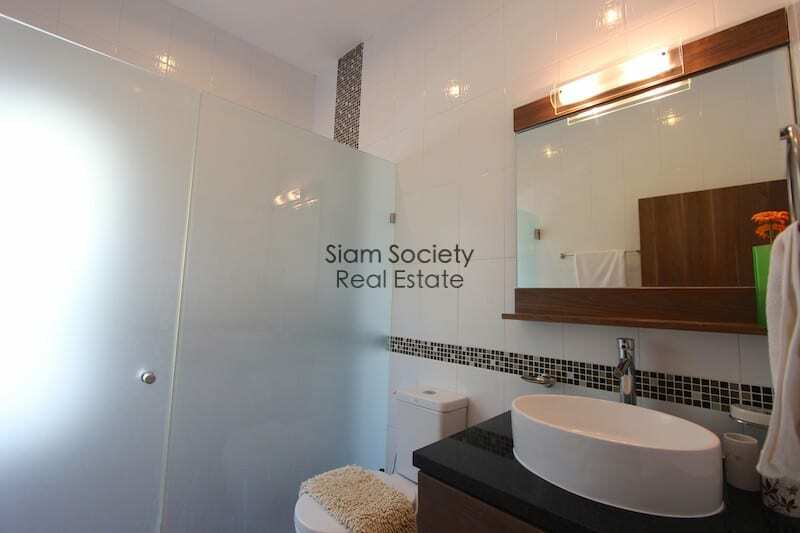 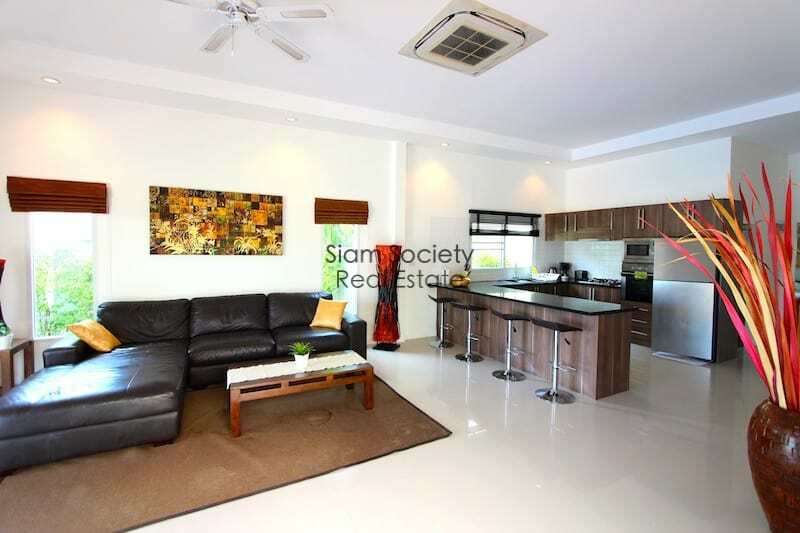 These often sell very quickly, as they are located in a popular are of Hua Hin. 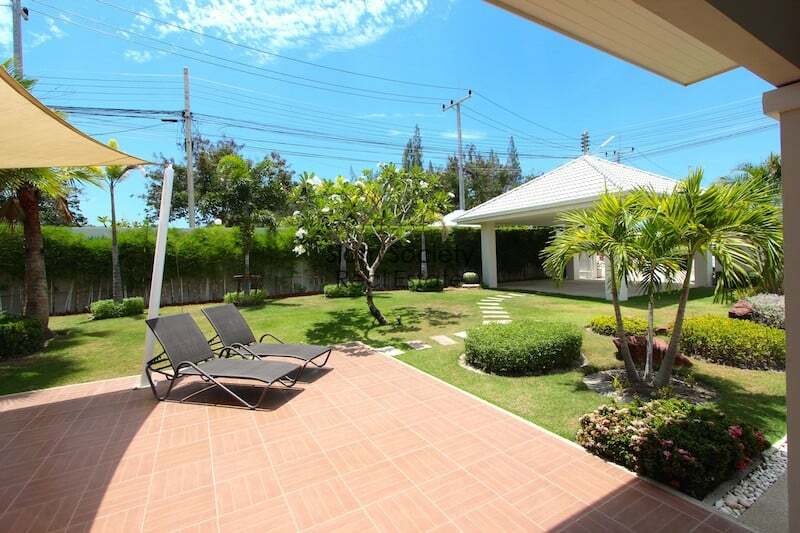 There is nearby public transportation to and from downtown Hua Hin. 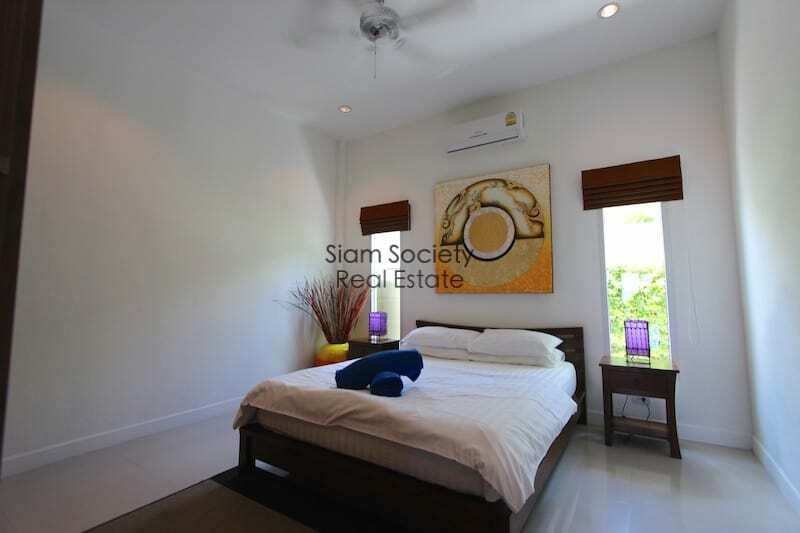 The house is sold fully-furnished.